Campaign for the American Reader: Pg. 99: Susan J. Terrio's "Whose Child Am I?" Featured at the Page 99 Test: Whose Child Am I? 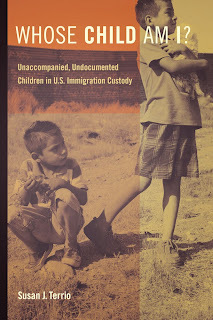 : Unaccompanied, Undocumented Children in U.S. Immigration Custody by Susan J. Terrio. Learn more about Whose Child Am I? at the University of California Press website. The Page 99 Test: Whose Child Am I?.